٥ Maryam Ahmed Al-Moalem, a Saudi female bike rider, is given basics of operating a bike by Rebal Mohammed trainer, during her lessons in advanced motorbike training at Harley Davidson training centre in Manama, Bahrain. 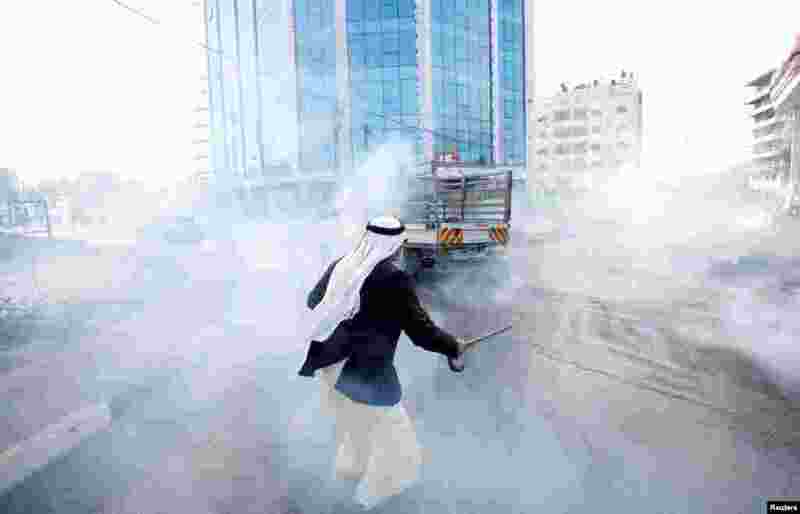 ٦ A Palestinian runs from tear gas fired by Israeli troops during clashes at a protest against U.S. President Donald Trump's decision on Jerusalem, near Ramallah, in the occupied West Bank. 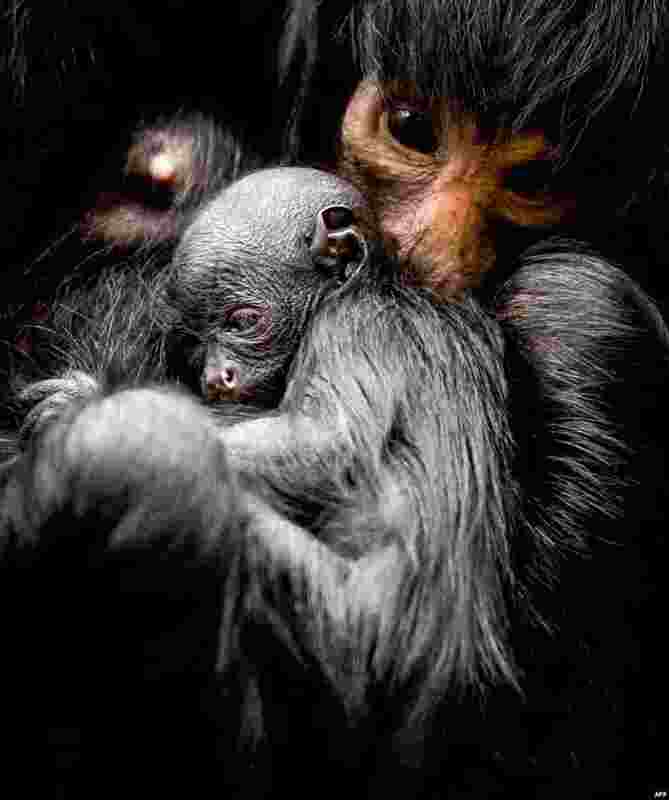 ٧ A newborn black spider monkey is seen at the Artis Zoo in Amsterdam. The young was born on 13 March, its gender is still unknown. 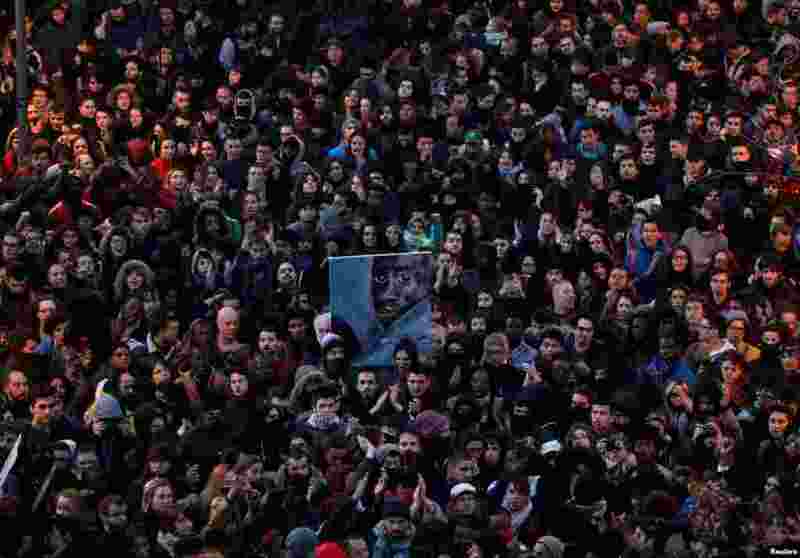 ٨ People attend a gathering to protest against the death of a street hawker in central Madrid, Spain.